Across the world there are many famous Japanese car manufacturers, such as Toyota and Mitsubishi. In the UK the car we see produced by Toyota, Suzuki or Mitsubishi tend to blend in with other cars, such as those manufactured in Europe. However in Japan you might be surprised to see some cars on the roads that look quite different to what you are used to seeing! At first glance this Suzuki car looks very square, this is quite fashionable in the cars seen in Japan (especially in cities like Tokyo), but is not something seen much in European countries. One of the reasons that cars in Japan are much smaller is the price of petrol, which is very expensive. Traffic in Tokyo especially is rather heavy and so having a small car can come as an advantage! Smaller cars are also much easier to park, a huge plus for any vehicle in Tokyo, parking is expensive and the more spaces you can fit on a piece of land the better! You may think that only cars are small in Japan’s capital- but even the vans and trucks are! Again saving on fuel and parking is a big win but even better having a smaller vehicle in Japan can save you on tax! ‘Light cars’ which have smaller engines are taxed at a much-reduced rate compared to larger cars with more powerful engines. The size of the Japanese cars is not only what makes them cute, in and around Japan you might be lucky enough to spot some very kawaii decorated cars, such as the Hello Kitty model made by Mitsubishi. Or even a car which looks like the most famous Pokemon; Pikachu! 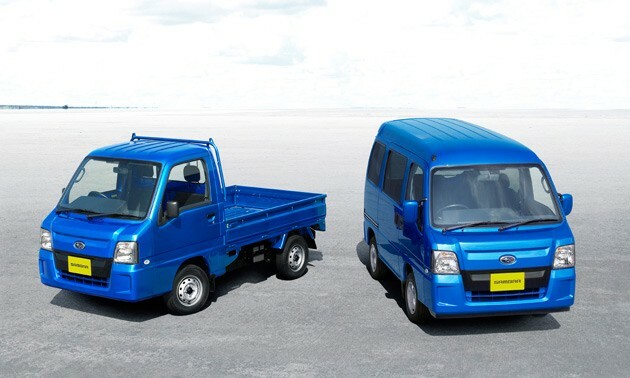 The cutest and most helpful car in Japan might just be the Nissan Pivo. The wheels on the Pivo can rotate under the wheel arch to allow for super easy parallel parking! The Pivo is also battery powered so is environmental and allows for 360 viewing from it cameras. So in Japan be prepared to see some super cute, but also some really useful, small cars- I think that counts to be kawaii! Suntory is Sending Its Whisky Into Space!